Barring five or six sitting MPs, the others are in the bad books of the BJP leadership owing to their poor performance, according to party sources. 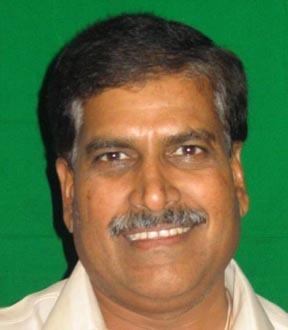 In trouble is also said to be Suresh Angadi sitting 2 time MP from Belgaum. The KJP which will formally merge its self with the BJP today has demended that Shankargowda Patil be given the LS ticket from Belgaum as people are not happy with the performance of Angadi. The KJP district committee has already finalized Patil’s name for the same and this was disclosed in a Press meet. As people are not happy with Angadi’s performance it would make sense to give a new candidate, sources said. Sources also said that the voters now prefer a younger candidate. They are reportedly at a disadvantage not ony due to the anti-incumbency factor but also stiff opposition from local BJP leaders who are against giving them another term in parliament. BJP has not yet decided on fielding Angadi from Belgaum.